Some Kootenai County residents aren't happy about having to replace their license plates with new ones, as required by state law. The law requires new plates every seven years, even if yours don't show any signs of wear. Many say it's wasteful, while others are unhappy about the $16.50 cost. The Idaho Transportation Department has announced an $8.6 million holdback on its own department budget - a 3.4% cut - even though it wasn't required to participate in Gov. Butch Otter's holdbacks because the agency receives no state general funds. ITD Acting Director Scott Stokes said the move comes because ITD's revenues are falling short, mainly in fuel taxes. "We recognize that our revenue is failing to meet expectations and believe that reducing our budget by $8.6 million is a prudent business decision," Stokes said. "We will continue to monitor department revenue to determine if additional changes might be necessary." The cut will come from the contract construction program, but the funds being cut hadn't yet been tagged for any specific projects, the department said. Spokesman Mel Coulter said fuel tax revenues to the department have continued to decline, at a time when they normally kick up from the summer travel season. "I think what were seeing is the public is doing the same thing we're doing, and that is they're having to continually monitor their expenditures and be very frugal with the money they have," Coulter said. "We're in that same position." Are you a single mom or a person in serious need who could use a free pickup truck? ElderHelp of North Idaho just happens to have one that they're looking for a good home for. The only stipulation; you have to either be a single mom or someone who needs the truck for a good cause. Here's more information and how to get your name in the running for the truck. Here's something interesting: guy at work had his car stolen last week. It was found a few days later, only about 2 1/2 miles from his house. The thieves took some oil, washer fluid, and a coat he had in the car, but the good news is that they actually put gas in the car before abandoning it! The City of Coeur d'Alene wants you to know that the 4th Street Improvement Project is nearing the end of its third phase (Miller Avenue north to Harrison Avenue). Phase III included grinding the asphalt and replacing the stormwater utility, curb and gutter, sidewalk, and electrical utility. After the first week of October, light poles, street trees, and bike racks will be placed. The entire project is expected to be complete around mid October, with a ribbon-cutting ceremony scheduled for Thursday, October 22nd. Look Ma. No hands! 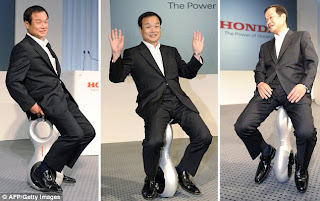 That's what Honda bigwigs are saying about their new 'personal mobility' device they just unveiled. The vehicle looks like a unicycle, but don't worry, you won't fall off this ride because it maintains its own balance. Here's more on the 'U3-x,' including a pretty cool video. If you're having trouble sleeping, or just want to know what construction projects are coming up, Idaho's Statewide Transportation Improvement Program (STIP) and the Capital Investment Program (CIP) are now available. Both documents contain basically the same information, projects in the STIP are just sorted by district and key number while the CIP contains projects sorted by performance program. The STIP also has info on funding, programs, and certifications. Here's a link to where you can view both. Who do you think the next director of the Idaho Transportation Department will be? Maybe a traffic engineer or transportation planner? Or how about a sanitation worker or lion trainer? It could happen, according to the Idaho Transportation Board, as long as the person chosen has all the other required skills, including leadership skills, business acumen, political skills and “a minimum of five years of senior executive level management experience. Here's an article from the Spokesman's 'Eye On Boise' blog about how the search for a ITD Director may consider applicants who don't have a transportation background. For those of you missing a very important part of your bike, here's an idea on how to fix it without buying an expensive wheel. Some kudos for North Idaho's Citylink bus service. Last week, the tribe learned it had received $462,000 from the federal government to build a 6,000-square-foot maintenance facility in Worley on land donated by the tribe, which operates the bus service. Here's an article from the Spokesman-Review. The article below is from Washington's west side, but with the economy the way it is, it could be happening in a lot of school districts nationwide in the near future. 3,000 students in the Edmonds Schoold District have to find a new way to school after their bus routes were eliminated recently to save the district $500,000 a year. And one school has even eliminated busing all together. While there is a move to get more students to walk to school to reduce vehicle emissions and reduce obesity, some routes children would have to walk just aren't safe. One mother in the article even complains that her child has to walk past a bikini espresso stand to get to school! Many parents are calling the busing plan an accident waiting to happen. This isn't about Kootenai County, but it does involve our neighbor's in Sandpoint and I thought it's kind of cool so I'm using it: Sandpoint's City Council last night voted to legalize all non-motorized transportation in the downtown core, ending a 20-year prohibition on skateboarding. By amending its current ordinance, the council is opening up downtown streets to all forms of human-powered transportation, a right previously given only to bicyclists. Here's the article from the Bonner County Daily Bee. A letter to the editor in the Coeur d'Alene Press today expresses frustration with the Idaho Transportation Department for the work they're doing on US 95 from Highway 53 to Ohio Match Road. The writer complains that ITD is jepordizing her safety because the project will cut off southbound access to their construction business and their semis will be forced to make U turns at Ohio Match to get going the right direction. My question is, if she's so concerned with safety, why doesn't the writer require her drivers to take a different route rather than a U turn? A reminder that it's that time of year again where fall is in the air and the animals are coming out in the early mornings. Take it easy in rural areas as this time of year we start seeing a lot more deer, elk, moose etc. trying to cross the road or just hanging out in the road. I came around a corner near Stateline this morning just before 7 a.m. in time to see an elk herd crossing the road. There were about 30 cows and one bull, but he was a big boy that would total the average car that hit him. 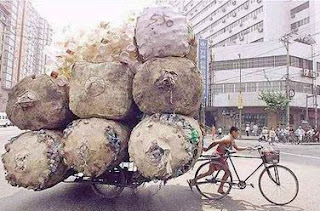 Those over-achieving Chinese! Not only are their game shows better than ours and they have better bike parking, but they can also fit more people on a bike than us too. Some days I can't even balance enough to ride a bike, but to fit 16 girls on a bike? Crazy! A vehicle at 15 mpg and 12,000 miles per year uses 800 gallons a year of gasoline. A vehicle at 25 mpg and 12,000 miles per year uses 480 gallons a year. They claim 700,000 vehicles – so that's 224 million gallons / year. 5 million barrels of oil is about ¼ of one day's US consumption. And, 5 million barrels of oil costs about $ 375 million dollars at $75/bbl. So, we all contributed to spending $3 billion to save $ 375 million. How good a deal was that ??? Construction work in Coeur d'Alene's Midtown is coming to an end. Paving is expected to be mostly finished in a week and lanes will open to traffic soon. Here's the latest on the project's progression from the Coeur d'Alene Press. I know, I know- it's too early to talk about snow. And I'm usually in denial that it even exists, right up until November when it starts falling from the sky. The City of Coeur d'Alene's Street Superintendent, Tim Martin, wants to talk about it now though; specifically what his crews are doing this early in the season to prepare. 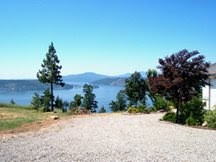 Here's a link to the 'City of Coeur d'Alene Today' blog and Mr. Martin's lesson on snow management. A special emphasis patrol in North Idaho is focusing on aggressive drivers today. The Idaho State Police are looking for people who speed, tailgate and cut off other vehicles in the Post Falls and Coeur d’Alene areas. In particular, officers will be watching for the aggressive actions around commercial vehicles. Here's more info and pedestrian traffic laws. No plans for Saturday? Well you've got plans now. This Saturday, September 19th, at 9:00 a.m., the Coeur d’Alene Parks Department is looking for volunteers to help with the construction of trails on Canfield Mountain in order to provide beginner-level mountain trails to the public. The work will involve the construction of switchbacks and new trails. From exit 14 on I-90, drive 1.9 miles north on N. 15 St., turn right onto E. Shadduck Lane, drive 0.6 miles to N. Copper Way, left onto N. Copper Way, then left onto E. Mountain Vista Drive. The trail head is on the right, approximately 0.1 miles after you turn. If you have any questions, please call Monte McCully, Trails Coordinator, at 208-292-5766. A new federal program is being test-driven (sorry for the pun) to see if police officers can effectively draw blood from drivers suspected of driving under the influence. For years, defense attorneys in Idaho advised clients to always refuse breath tests, which leads to many drunken driving cases going to trial, which clogs up the court system. The hope is that allowing officers to draw blood would cut down on these trials. Here's more on this story. I don't know about you, but I don't like the idea of cops wielding syringes. What's next, doctors having lights and sirens on their cars? I understand the premise, but unless I'm injured in an accident, I don't want anyone sticking a needle in my on the side of the highway. Your thoughts? Here's your reminder that there's a meeting of the Non-Motorized Transportation Plan Advisory Group Meeting coming up this Thursday, Sept. 17 at 10:30 a.m. to noon at Hayden City Hall (8930 N. Government Way) in Hayden. Anyone who is interested in non-motorized transportation in Kootenai County is invited to attend. The agenda includes an overview of our current progress on the plan, brainstorming of system goals and future needs and the development of implementation and funding strategies. For more info on the Non-Motorized Plan, click here. Did you know that National Child Passenger Safety Week is September 12 through 18 and that nationwide, motor vehicle crashes are a leading cause of death for children? 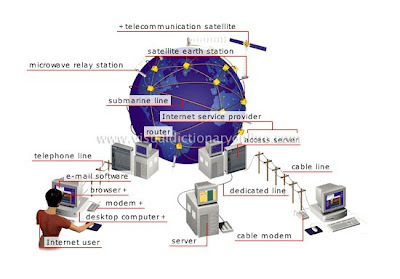 That's according to National Highway Traffic Safety Administration statistics. Idaho's Child Passenger Safety Law requires that all children six years of age or younger be property secured in an appropriate child safety restraint for every vehicle trip. The Idaho Transportation Department has more information on child passenger safety. Here's a link to their website. Congratulations to our Senior Transportation Planner Ryan who married his fiancee Jennifer last week! 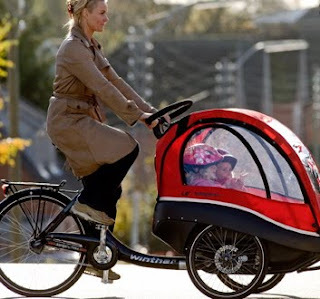 We're hoping there are lots of little transportation planners in their future, since they're so hard to come by. The Kootenai County vehicle licensing offices at 451 Government Way in Coeur d’Alene and 120 E. Railroad Ave. in Post Falls will have new hours of 8:30 a.m. to 5 p.m. starting on Tuesday. The later opening time will allow staffers to keep up with paperwork. I was driving to work this morning and some kid who must have been late for the first day of school or something was speeding down the freeway... like he was trying to out run a cop or something. Anyway, he was darting in out of traffic, and there were a couple close calls. I just thought to myself this small-minded person probably doesn't even realize the danger he poses to every law abiding driver on I-90. Then I get to work and find this video. I guess I am not the only one who thinks speeders are small-minded people... they even have a hand gesture for it! I don't want to be counterproductive or anything, but if you are reading this blog everyday -- and you continued to read past my first paragraph -- it may be time to look deep inside yourself and then read this story. Mark your calendars; we're having another very exciting meeting of the Non-Motorized Plan Advisory Group. The meeting is Thursday, Sept. 17 from 10:30 a.m. to 12 p.m. at Hayden City Hall, 8930 N. Government Way. If you're interested in non-motorized transportation, you're invited. We need your help analyzing goals and future needs for the area and coming up with creative financing ideas. Here's more information on the Non-Motorized Plan. KMPO/SRTC is short a Transportation Planner. If you've got experience, we want you! Here's a link to the job description and how to apply if you're interested. 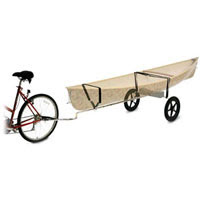 Who Doesn't Want To Pull Their Canoe With A Bike? Have a canoe, but no vehicle to tow it? Here's your answer. Because your toddlers saw you shaking your fist and witnessed a stray finger flying about during a heated road rage inspired interaction, you can no longer turn your back on them for a second.Here's where you can get it. Need to haul your industrial strength hair dryer around the desert, but don't own an SUV or a droid to carry it for you? 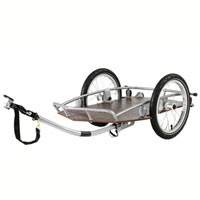 Hope your quads are made of steel, because this trailer can handle up to 100 pounds! I don't know if this was photoshopped, but at first I thought it was an ad for IKEA... ANYONE UP FOR AN IKEA RUN? This actually came from the San Francisco Bicycle Coalition, demostrating how much you can do with your bike. Here's the story. This is your last chance before the kids go back to school! Quick, get on the road for one more road trip! While that sounds great, Triple A says fewer people will actually take to the road this holiday weekend- due to the late date of the holiday, and the fact that many kids are already back in school for the year. Another good month for Citylink in August. Ridership numbers increased again last month, which is pretty impressive considering that most public transit numbers are down a little in the summer because people aren't using buses to get to school. Here are the numbers if you'd like to check them out. Monday is Labor Day, so this is your early reminder that all local government offices will be closed, including Coeur d'Alene, Post Falls, Hayden, etc. City Halls. Everything opens again at regular time on Tuesday. The Idaho Transportation Department sent out notice yesterday that all construction work will be suspended on ITD highway construction projects statewide Monday. In fact, most construction around the state will be suspended Friday night and resume Tuesday, in order to reduce roadway congestion for weekend travellers. Got A Good 'Active Transportation' Photograph? 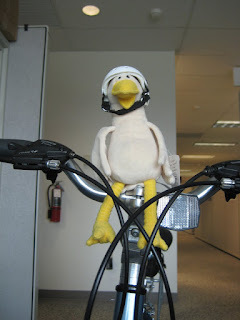 This is the best I could do, a picture of a chicken on a bike, but you may be able to come up with something that will win the Alliance for Biking and Walking's 'People Powered Movement' photo contest. The Alliance is holding the contest in order to gather good pictures of biking for a library that will provide free images to Alliance organizations. If you win, you get an all-expense paid bike trip to Tuscany and a year's supply of Clif Bars. Here's more information, including judging criteria. Here's some big news. The 'Benches for Bus Stops' Committee (a subcommittee of KMPO's Public Transportation Roundtable group) will cut the ribbon on the first sponsored bench tomorrow (Thursday( at 4 p.m in front of Post Falls City Hall. The group will place benches at CitiLink bus stops throughout Kootenai County. Five-year sponsorships are $1,000. So far, the group has commitments for about 18 benches. 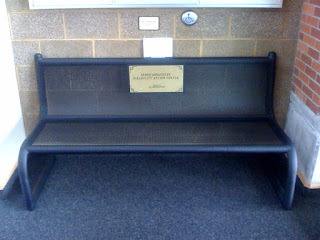 Call Craig Wilcox at 208-667-1212 if you're interested in sponsoring a bench. 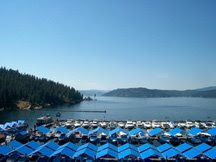 If you like to get your exercise by utilizing area parks after others have gone home, you're going to have to find a new destination for your nighttime activities in Coeur d'Alene. The City Council last night approved a Parks and Recreation request to close all city parks at dark. Here's the story. This is my niece Rebecca communing with the chipmunks. I blogged last week about how Rebecca and her family rode the Trail of the Hiawatha last weekend, and while they enjoyed the sights, the thing that caught their attention the most was the chipmunks. Rebecca's father said that people on the trail need to watch out because those little vermin are quite pushy. He said the chipmunks look they they'd been 'sucking on air hoses' because they're twice the size of your run-of-the-mill chipmunk. my other niece fed a nut to a chipmunk, then tried to get another out to feed it, but before she could do so it bit her! And they apparently saw another rider set down a backpack and watched a chipmunk try to get into it! Crazy, they've run amok on the trail! So this is my final word on Trail of the Hiawatha chipmunks; if you want to keep your fingers, don't feed them by hand. Be careful, and alert, when using area trails. Local officials feel it's an isolated incident, but a Post Falls man was assaulted while jogging on the Prairie Trail recently. The incident took place just east of Huetter Road. The runner had just turned eastbound on the Prairie Trail from Huetter Road and stopped to take a drink when he was struck from behind with a piece of wood. Here's more from the Coeur d'Alene Press. Roundabouts- Love 'Em or Hate 'Em? Roundabouts: the work of the devil or a lifesaver once you figure out how to use them? That's the debate over on the Spokesman-Review's 'Huckleberries' blog. So far, most people who have piped in say they like them, although a couple people say they their functionality gets screwed up by people who don't know how to use them, or maybe just don't care. Feel free to put in your two cents... 28 people already did so apparently it's a hot topic.